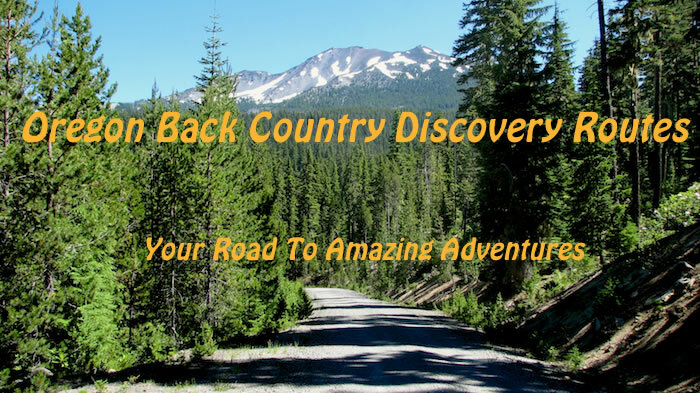 Oregon's Back Country Discovery System started as a vision of a series of routes through out Oregon to allow point A to point B travel in, through and across Oregon. The original on ground work was funded by a grant from the Oregon Parks with the ATV sticker funds (allocation funds). After the route was scouted over several summers and with cooperation with the National Forest and BLM managers, the routes were finished with on-the-ground signage. An environmental group filed a lawsuit. All land mangers folded and all the on-ground signs that were installed by hours of volunteer work were removed. At that point Oregon Off-Highway Vehicle Association stepped in. With a great deal of time and effort using only the ground survey notes of road numbers etc, we produced the present maps with 'GPS' routing. When the map development started, GPS had the built in error that could cause GPS to be off by a mile or so. We used the latest software available at the time. Since the first set, Route 5, was created, GPS is much more accurate and the units are much better. As each route was developed, the GPS and graphic software have been updated to the current available. What is the future? We want to complete the original vision of having back country routes across and through Oregon's incredible diverse and gorgeous back country that offer so much to those willing to get off the pavement and discover. Route 5, Route 4, Route 3 and Route 2 have been completed and are fairly stable in their updating. We have two new routes with some preliminary scouting completed. We have been held up by having to wait for the public land managers to complete the required Travel Management Plans. State Parks funds have not been involved through any of the mapping/GPS, new route development, website updates and maintenance. Only the sales of the maps have allowed us to continue offering the maps and development of new routes. This is a user-to-user project, motivated by the love of Oregon's back county experience and sharing that experience. We have not increased the cost of the maps from day one. How long we can continue without some increase remains to be seen. We would like to move the system into more of the digital age but there is a cost to do so.